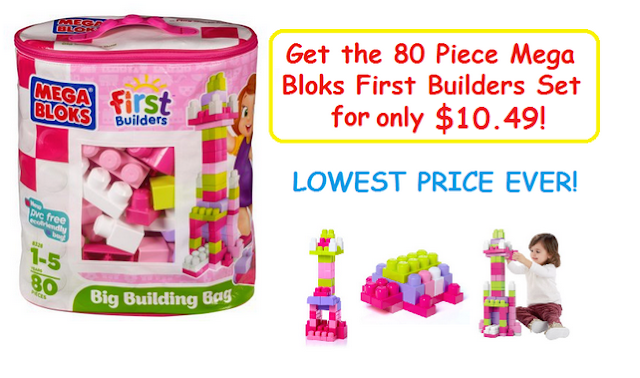 Amazon has the 80 piece set of Mega Bloks Big Building Bag (in Pink) for only $10.99--the LOWEST PRICE it has EVER been! It has a near perfect 4.5 star rating from over 4,000 consumer reviews and I have NEVER met a little one that didn't fall in love with these at first sight! My 4 year old son still plays with his set of Mega Bloks several times per week even though he's had them for three years! The set is eligible for FREE S&H on orders over $49 or if you have an Amazon Prime membership.